Our family had a great time this afternoon at the annual Septemberfest event sponsored by the Oklahoma History Center. Here are a few of the highlights I caught with my camera. 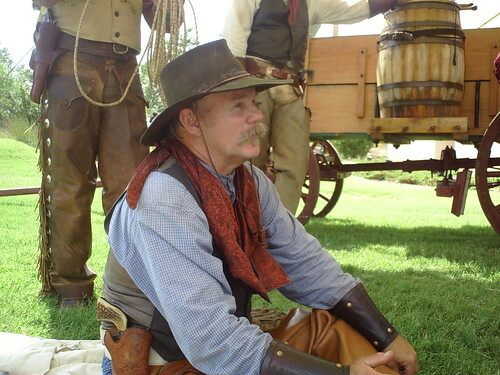 My favorite moments of the day were listening to cowboy re-enactor Whit Edwards tell about life for the cowboys working on the great plains following the U.S. Civil War until the open range closed in the early 1890s. We learned that cowboys had two kinds of rope which were best used in different conditions. Grass rope worked better in wet conditions but could break when it was dry. 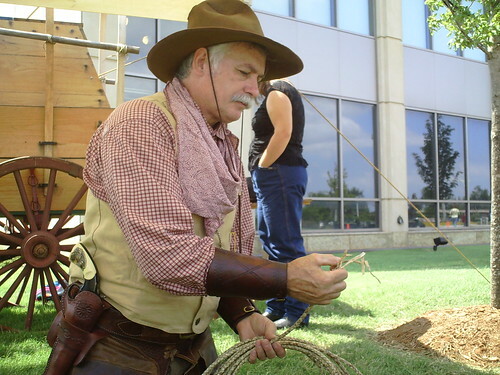 Rawhide ropes, like the one shown below, were less desirable to use in wet conditions because they would stretch out and could break. Rawhide ropes could hold strong when dry, however. 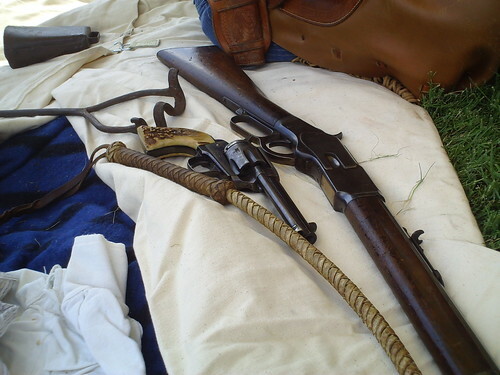 It’s always a treat to get to see the cowboy’s tools of the trade up close. We even got to see a demonstration of whip cracking! Medicine has certainly come a long way in a short time. Many times nervine like this contained little more than alcohol and cocaine, and couldn’t actually “heal” any ailments. 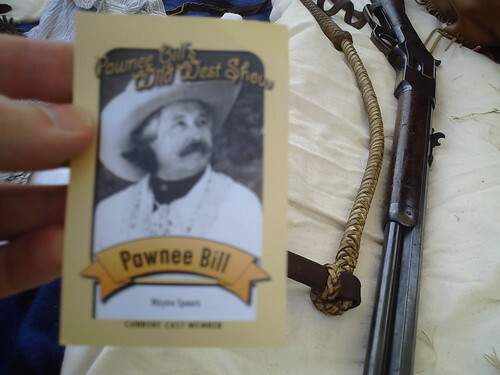 Since moving to Oklahoma in 2006 I’ve heard a little about the Pawnee Bill Wild West Show, but hadn’t until today known that Pawnee Bill was at one time teamed up with Buffalo Bill Cody. Evidently Pawnee Bill was a better businessman than Wild Bill, who (according to the cowboy historian who was telling us this story) was better at spending money than managing it. Since my dad grew up in Powell, Wyoming, near Cody, we used to visit the fantastic Buffalo Bill Historical Center every few years. I never heard of Pawnee Bill growing up, however. I hope next June our family will be able to see the Pawnee Bill Wild West Show for the first time! 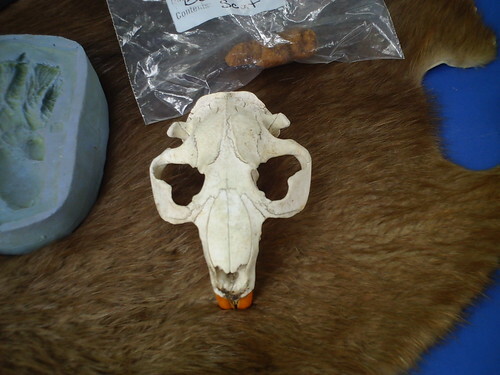 I was glad to learn today what a beaver skull looks like, because I found a skull just like this when I was going to college in Colorado and had it tied to the front of my Jeep Wrangler for years. I still have it somewhere in our garage, but I was never sure in the past what type of animal it had been. Now I know! 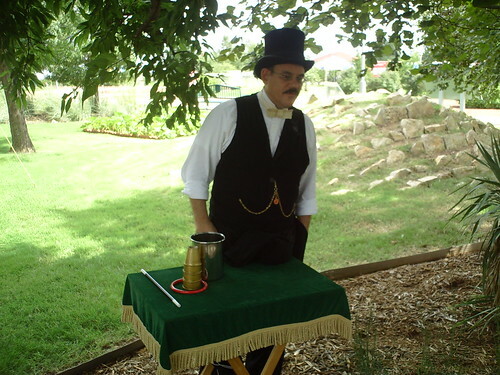 Chris Capstone amazed us all with his magic show. I was particularly impressed with his rope tricks! 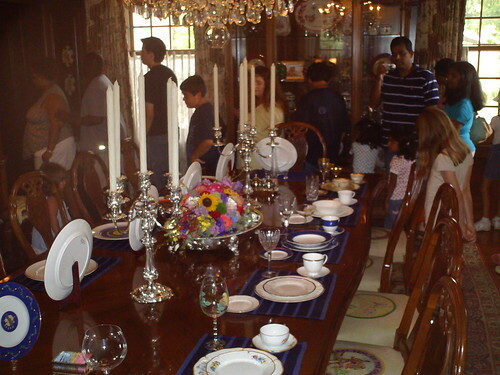 The highlight of the day for my wife was being able to tour the mansion of the Oklahoma governor and his family. 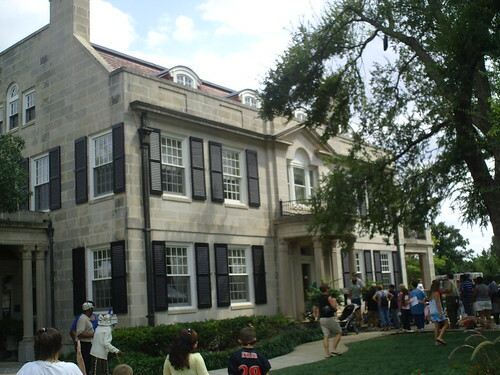 The governor’s mansion is right across the street (23rd street) from the History Center. We were even able to speak briefly to the first lady, Kim Henry, when we were touring the second floor of their beautiful home! 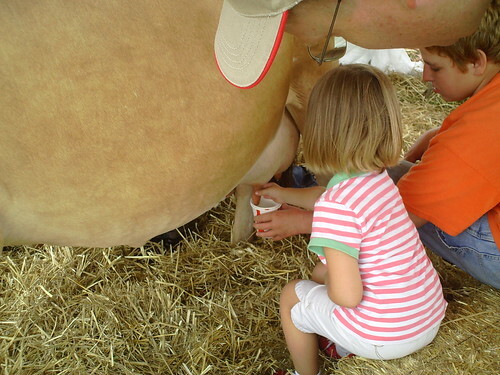 I’m not sure if this was the most memorable moment of the day or not, but it’s likely Rachel won’t soon forget milking (only briefly) a cow for the first time! 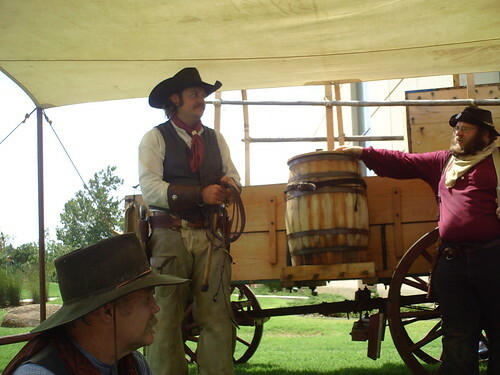 I am considering finding a historical character from Oklahoma and working on becoming a character actor myself in upcoming months. 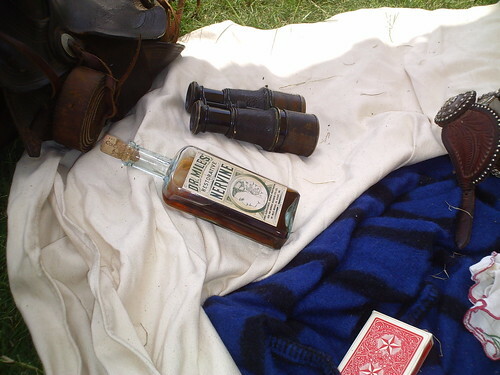 Character actors certainly can bring history alive in ways textbooks and even films cannot. Great post. SeptemberFest was a lot of fun this year, as always. 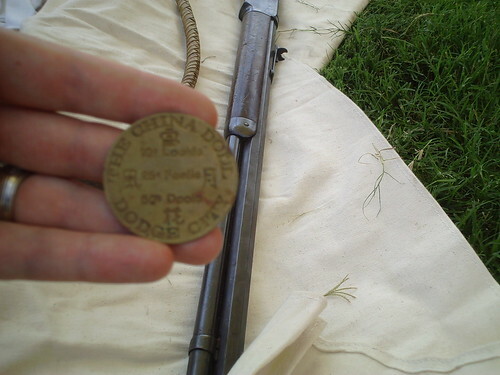 By the way, they are always looking for more reenactors! E-mail me or call and I’ll get you set up. Thanks for the kind words. That looks like it was a blast! 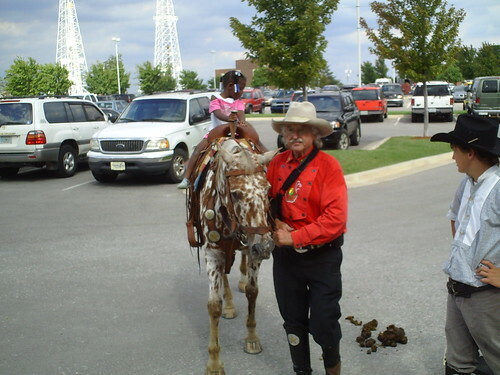 And thanks for the virtual field trip, pardner. I was recently at the FDR museum and Presidential library at Hyde Park and wished I’d done the same…not reenacted Eleanor Roosevelt, but just shared a picture or two. Next time!